running | Badudets Everything Nice! I joined the DZMM Takbo Para sa Kalikasan Year 11 last Sunday, my third time for this yearly running event. Sponsored by DZMM, the running event is for the benefit of the rehabilitation of the Pasig River. Takbo Para sa Kalikasan is one running event I can see myself joining every year because registration fee is affordable (Php 200 this year) and its accessible location (The Fort is too far where most running events are held). We all know that rainy season is the time when all you want is to stay in bed and be a couch potato. Like me, all I want is to eat, sleep and stay inside the house. But for some health buffs, rainy season should not hinder you from working out. If you’re really determined to work out, you wouldn’t let nature get in your way to fitness. With this in mind, Jeff and I decided to resume our running stint in UP. The UP Academic Oval is runner-friendly and biker-friendly because a separate lane is dedicated for such activity. Unfortunately, on my last lap, rain poured and I was drenched because I can’t run fast enough to get to the parking area. 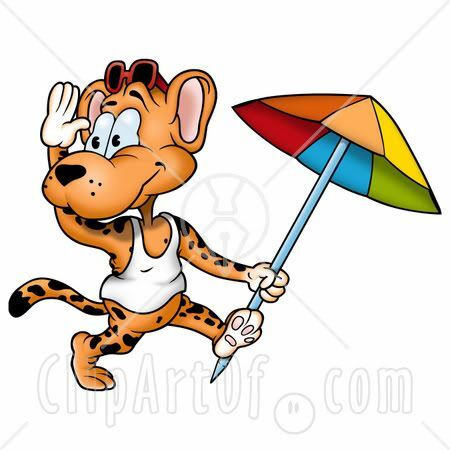 I also saw players from the baseball field carrying their baseball bats, gloves, and batting equipment, the rain also ruined their practice. So what to do? Should you carry an umbrella while running? I’m joining DZMM’s Takbo Para sa Kalikasan, my second time. I’m no runner, in fact, my jogging stint in UP became a food trip. 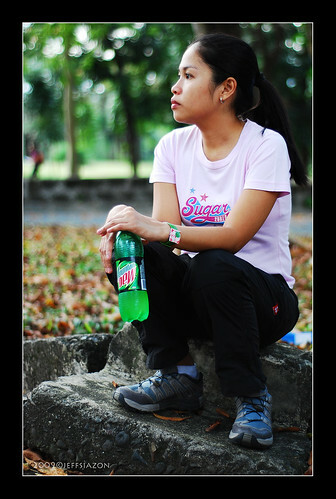 I’m trying my best to motivate myself to be more athletic and indulge in “active” activities. 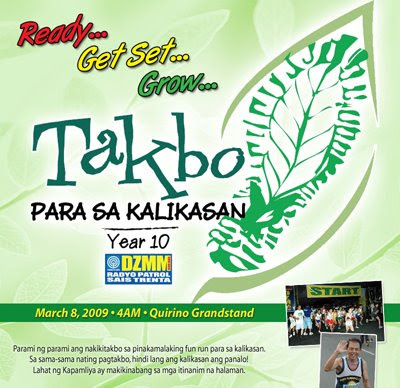 Running events happen almost weekly, this March 8, 2009, it will be Takbo Para sa Kalikasan sponsored by DZMM. Now on its 10th year, proceeds will be for the continued rehabilitation of La Mesa Watershed. The event has received quite a lot of response and they ran out of large sizes of singlets. Yesterday, they only have few slots for the 5K run. See you on Sunday! To jog or to walk? Original plan was to jog around UP Sunken Garden. First time to jog again after 8 months. 8 months ago, I was going to the gym 2 to 3 times a week but laziness hit me after a few months so I’m back with an inactive lifestyle. Since its January and like any other New Year’s resolutions, I started my resolution to “Move more and exercise” routine by jogging around UP after work. I ended up brisk walking almost 3/4 of the trail. After the first round at the UP Oval, Jeff and I feasted on yummy street foods, quail eggs (tokneneng) and siomai. What a great way to start a healthy and active lifestyle eh? So the question is,to jog or to walk or to eat? sugar free, originally uploaded by wander_girl.